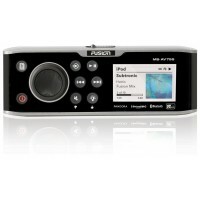 Fusion Marine Sound Systems	There are 40 products. 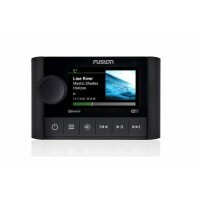 Fusion MS-RA770 Apollo Touchscreen Marine Stereo w/ Built-In Wi-Fi - 4.3" glass touchscreen display, WIFi and Bluetooth streaming, digital signal processing, AM/FM, AUX / USB / Optical / Sirius inputs. IPX7 Waterproof. 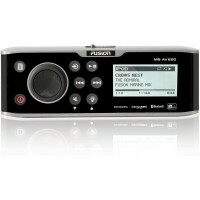 PartyBus mode allows multiple sources to play in different zones. MFG# 010-01905-00. *Free US Shipping! The Apollo SRX400 combines the latest design, engineering and powerful feature set of the Apollo Series in a compact, versatile form factor. 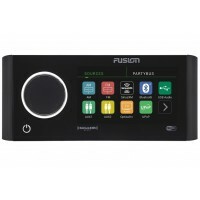 With built-in Wi-Fi streaming, Fusion’s Digital Signal Processing, PartyBus connectivity and over-the-air software updates, the Apollo SRX400 is the perfect combination of intelligent design and superior sound in a compact zone stereo. *Free US Shipping! 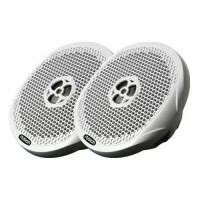 MS-OS420: 4” Full Range Marine Box Speakers. 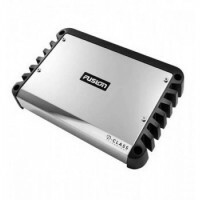 Fusion MS-OS420 4" 2-Way Full Range Box Speakers - These versatile speakers are designed for use in various applications including on board your boat or outside your home. 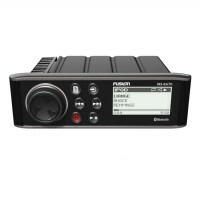 Perfect for boats where flush mounting isn't practical. 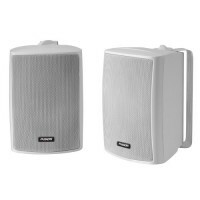 Featuring 100 watts peak power output and an adjustable wall bracket, the MS-OS420 speakers are the perfect complement to any FUSION stereo system. 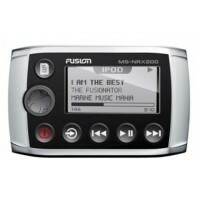 FUSION MS-RA70i Stereo. 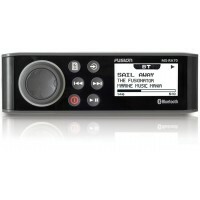 FUSION's sleekest value-packed marine stereo, designed to deliver a quality on-water entertainment experience by incorporating the latest marine technology. 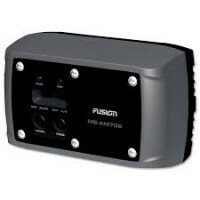 4 x 50W AM/FM/Internal High Level Bluetooth 2-zone w/ preouts. Bonded glass display. 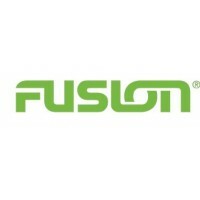 High-level bluetooth capabilities (via FusionLink). 010-01516-01. 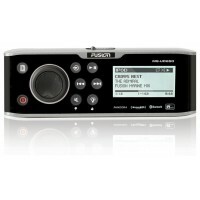 *Enter "fusion5" in checkout for 5% discount. FREE US SHIPPING! 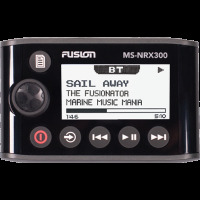 FUSION MS-RA70 Marine Stereo with Bluetooth and FUSION Link Compatibility. 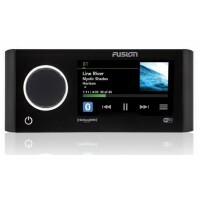 AM/FM/USB/MP3/AUX/Bluetooth inputs, 2 zone, 4 channels, 50 Watts/channel. Apple & Android interface. 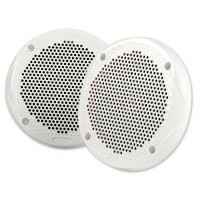 Designed for marine environment (IPX7 waterproof). 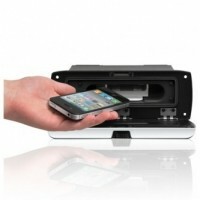 Protected by 12-month worldwide consumer warranty. 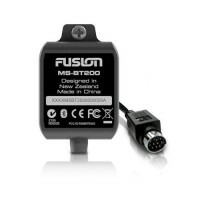 MFG#: MS-RA70 (010-01516-00), UPC: 0753759149819 *Discontinued. 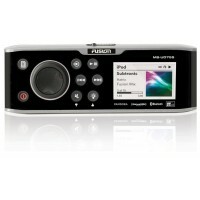 Replaced by Fusion MS-RA70i.